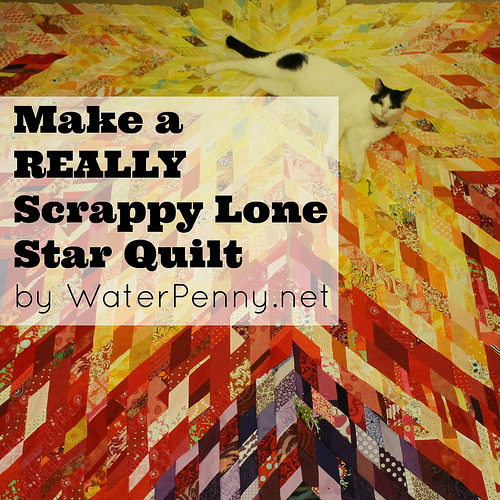 Some years ago, everyone on the internet, ok, maybe just the quilters, started making scrappy trip along quilts. They are fun and fast and a great way to use up scraps, how could I resist? 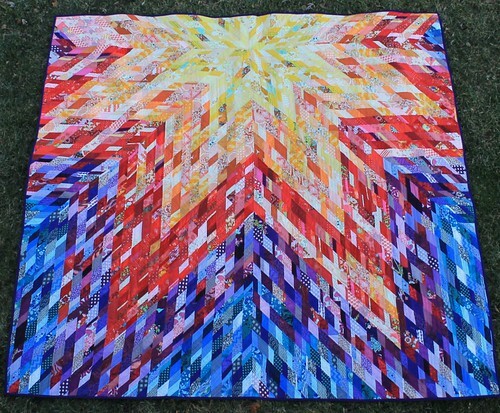 I made one using the ugliest fabrics I had and then made another using the ugliest fabrics I had that matched this muted rainbow color scheme. 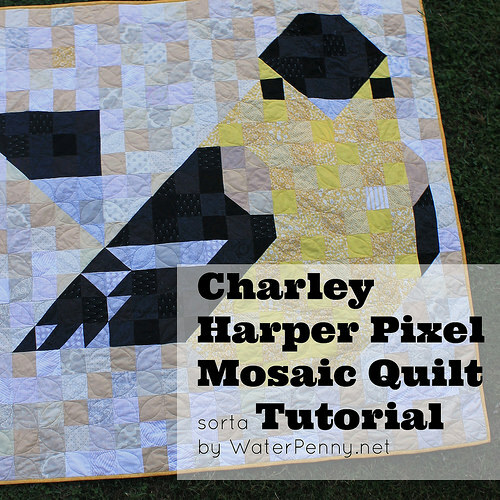 I then lost interest in finishing the second one and made this awesome Eric Carle Quilt instead and the scrappy trip sat for a year and a half. Except it didn’t just sit! 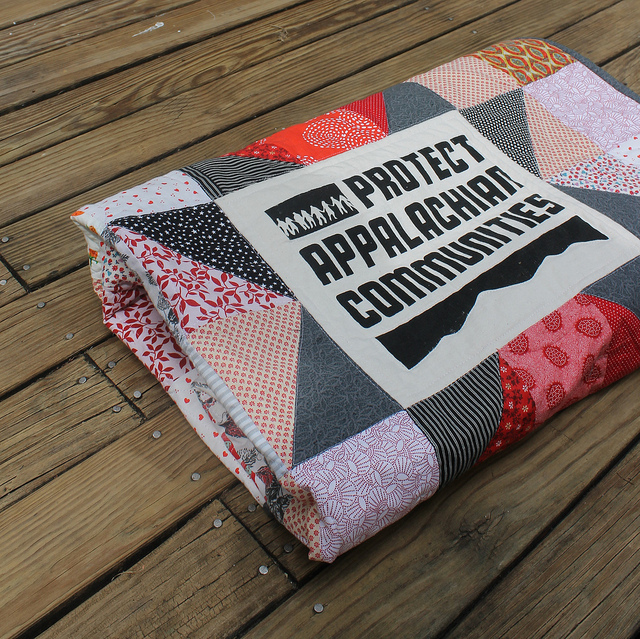 We actually used it on the bed on colder nights as a back up blanket, which Matt hated because “the safety pins are cold” but for some reason we did not grab one of the 9,000 other quilts that are cluttering up my house. Anyway, today, I killed the beast! 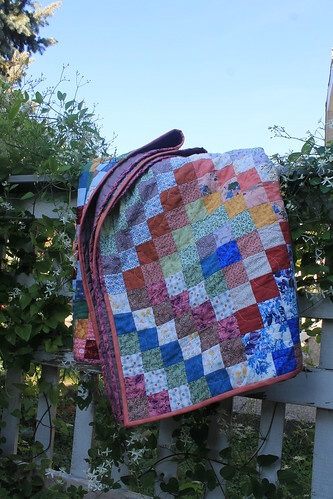 I mean, I quilted the last 25% and bound it up. 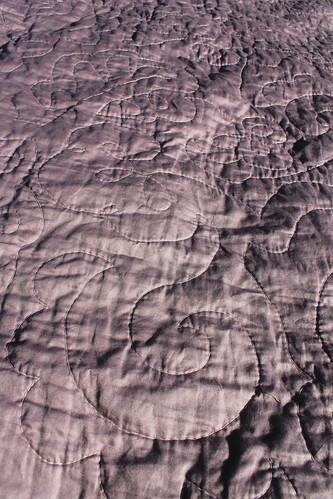 I’m happy with the quilting, which is from a Nan Moore quilting book. Nice open loop de loops and paisley type shapes. Very comfy. Fast but more interesting than a meander. The backing is a fairly heavy satin-finish cotton sheet. 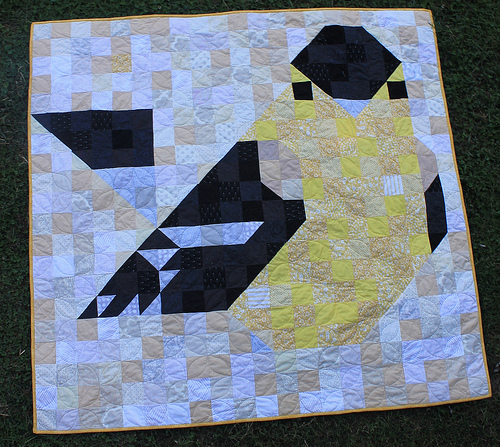 Just something I got at a discount type store once with the idea of using as a whole cloth quilt. 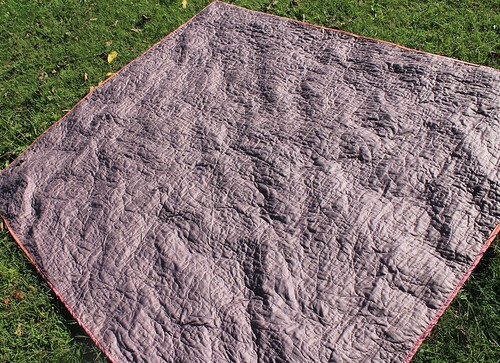 To me, this is a double sided quilt, a fancy whole cloth shiny purple on one side and an economical use of ugly scraps on the other. 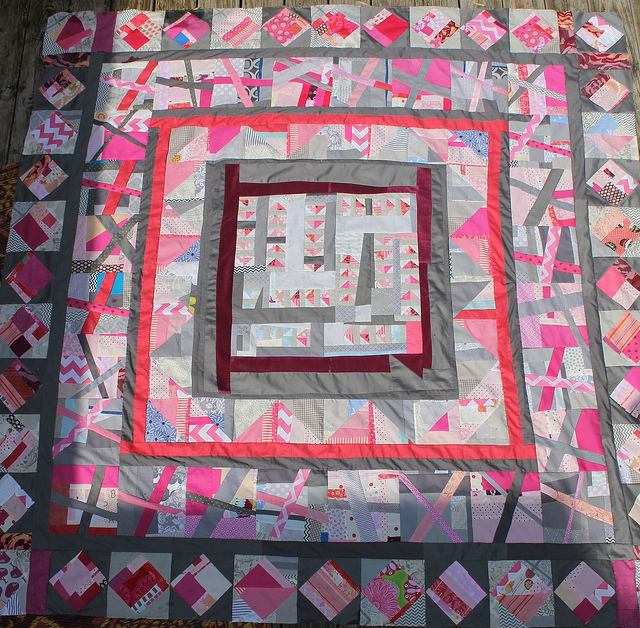 I still had some of the ugly pinks left so I used those for the binding. I do love them all together. Up close you can see all the silly fabrics that I used up. 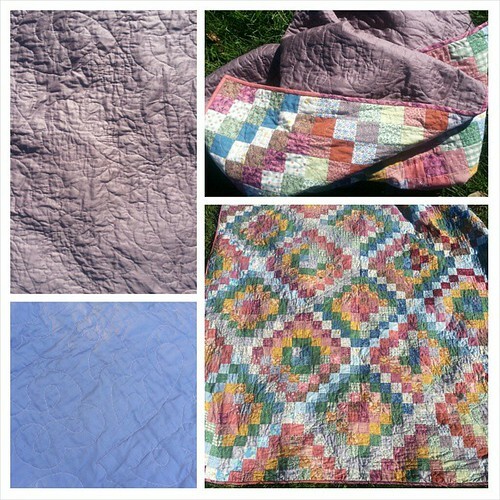 I have sooo many ugly scrap fabrics I have gotten for free other the years. I am actually making my way through them though!